In celebration of having all my files back in one place, I went wandering through some of my old, discarded story bits. 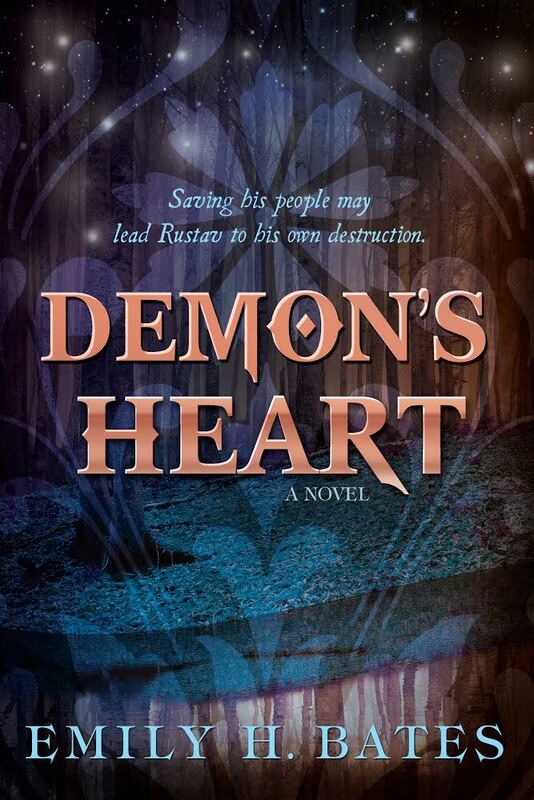 Lo and behold, I discovered an alternate beginning I had written for Demon’s Heart about a billion drafts ago! The story originally started about ten days earlier than it does now, but for pacing and plotting reasons, I jumped the beginning forward for the later drafts. Take a peek! Rustav made his way through the crowded streets of Markuum, the shouts of dockworkers and merchants falling heavily on his ears. Other inhabitants of the city skirted around him, either pretending he wasn’t there or shooting him furtive, disapproving glances as they passed. Nearly seventeen years of such behavior had dulled his awareness of it, and the boy had learned to appreciate being left alone. It was certainly better than the alternative. Unfortunately, the alternative was sometimes unavoidable. Rustav could hear the heavy boots on cobblestones behind him, but he didn’t turn. It hurt less when they hit him from the back. A rough hand grabbed his shoulder and yanked him around, shoving him against the wall of the one of Markuum’s many fish hawkers. It was Taver again, and no surprise; Rustav’s uncle Karstafel had just stolen a large load of merchandise from Taver’s father. Though Taver was a year younger and a few inches shorter, he was substantially broader than Rustav and well-liked in town. Taver wrapped his fist around the front of Rustav’s shirt and pushed hard. Normally, the kid had more of a mouth than a fist, so Rustav nearly missed his chance to dodge the punch Taver threw at him. He jerked out of the way just in time, and Taver hit the wall. “What’s the excuse today?” Rustav asked coolly, feigning ignorance. Click here to read the rest of the chapter. And don’t forget to enter the giveaway for ERUPTION by Adrienne Quintana! You don’t want to miss this book! LURV!!!! Poor Rustav, as always. You just love beating him to a pulp. 😉 I love this little glimpse into Rustav’s interaction with the town folks. It makes me feel for him even more. 🙂 I know, Rustav will need a good PT by the time I’m done with him, right? Haha. I’m glad you liked it! I remember having great fun writing it and am a little sad that it didn’t make the cut . . . but that’s the life of a writer! Oh for sure! There’s SO much in my latest edition that cut me to get rid of, but it had to go. And I’d LOVE to be his PT. He’d probably be one of the few patients I’d baby a little bit because of all he’s been through. But knowing his personality, he wouldn’t like me babying him. Hahahaha! You know my character well. I can just see his reaction to a little babying. Good luck trying to even get him in the office. HAHA!!! So true!!! Dantzel would have to drag him there. "Creation brings deep satisfaction and fulfillment. We develop ourselves and others when we take unorganized matter into our hands and mold it into something of beauty."